Okay so the two are not necessarily linked - unless we do find an alien race of vampires on Gliese 581g, and I'm not ruling out that possibility. Hey - since the planet is tidally locked (see an earlier post: Gliese 581g: An extrasolar planet sitting in a "habitable zone"), these vampires can be quite happy on the side of the planet that is constantly dark. 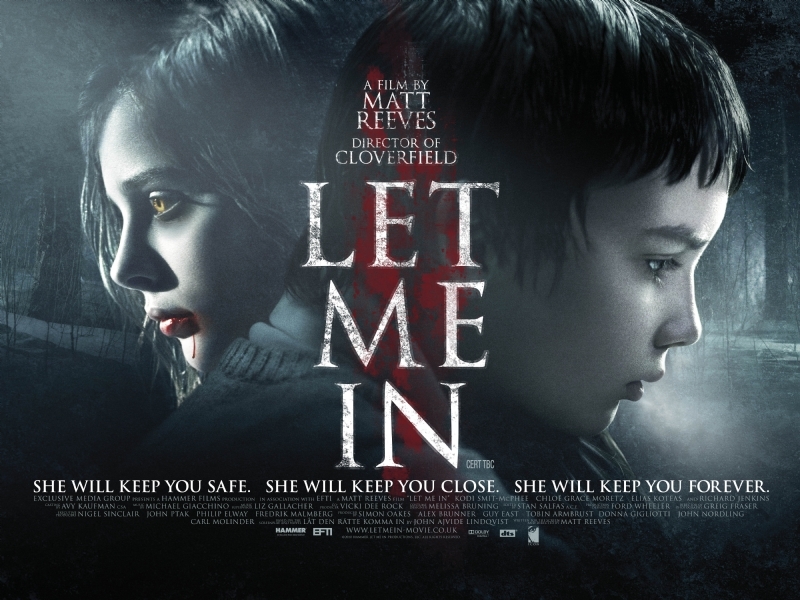 With the recent release of Let Me In – an English-language remake of the Swedish film, Let the Right One In – we essentially have a carbon-copy of the Scandinavian film. On the one hand we were relieved – surprised even – that the American incarnation remained true to both the style and content of the original film. On the other hand, as the lights came up, we were compelled to ask, “So why’d they redo it”? If the remake was done simply to make more money, then one could have imagined the American filmmakers possibly selling out and sacrificing the bleak, contemplative tone of the Swedish version for either the teen romance of the Twilight films or the gorefest of remade foreign horror films. But admirably, the filmmakers resisted the temptation. There are indeed some minor structural and other changes between the original and the remake. The bleak, snowy landscape and the featureless and unimaginative architecture of “somewheresville” Sweden is relocated to the equally nondescript outskirts of Los Alamos, New Mexico, circa the cold war era of the early 1980s. However, the rhythm and pacing of both the editing and dialogue match the original so exactly that you half expect the actors to deliver their lines in Swedish while ankle deep in snowdrifts. Yes, there is more explicit mention of religion (and evil) in the American remake, but ultimately, these changes are quite minor for the plot of the film. What we end up with is a vampire romance for an American audience (without the Twilight simplicity), but one with a European sensibility for time, place, character development and dramatic conflict.